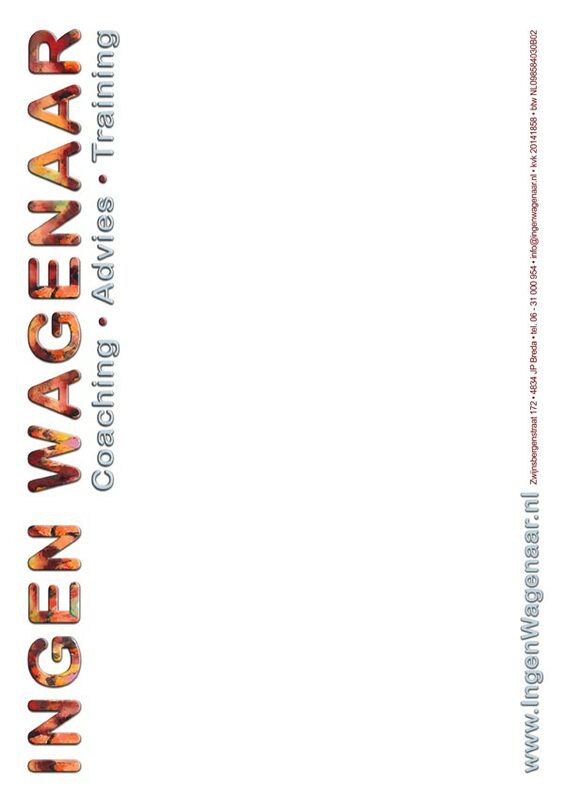 2011: Two and a half years after the first print work (business cards, flyers) it got about time to develop something new. The 2008 flyer remained our starting point but with the amount of information we had this time to our disposal, we chose to make a folder with four panels. When folded, it is the same size as the flyer (9,9 x 21 cm). Because of the time schedule, we chose to print a first circulation immediately. May 2011, a second print followed, adding the 3rd theme and a better designed cover. Printed 4/4 (full colour), 170 grams, wood free mat mc, 1,000 copies. 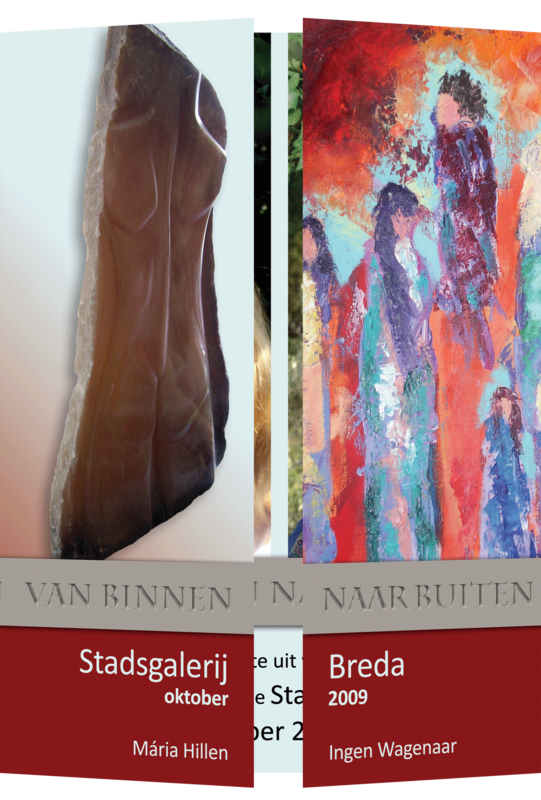 2009: Folder "From inside to Outside - Invitation" Two befriended artists presented together for a full month in one place - the best gallery of Breda (a town in South of the Netherlands). One is a sculptor, the other one a painter. The invitation needed to show their passion and bring balance. 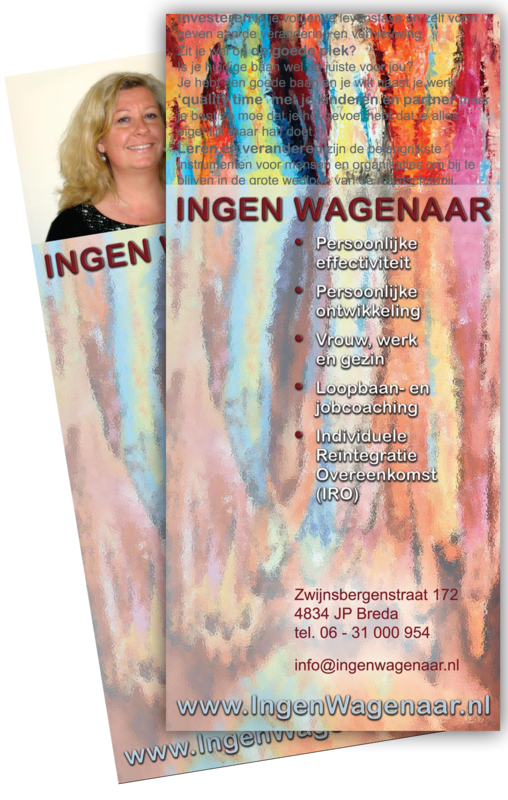 Printed: Full colour offset, 4/4, 1.000 copies, 170 grams houtvrij mat mc. See also portfolio designed for Mária Hillen by Mohini Visions around the exhibition. 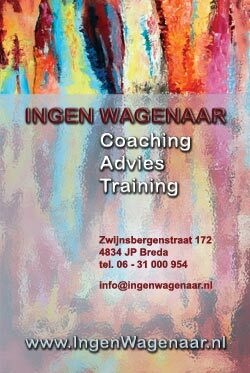 2008: For a new company on the block (Coaching • Advies • Training), a corporate design was developed and besides the website also a business card, flyers and stationary were made. 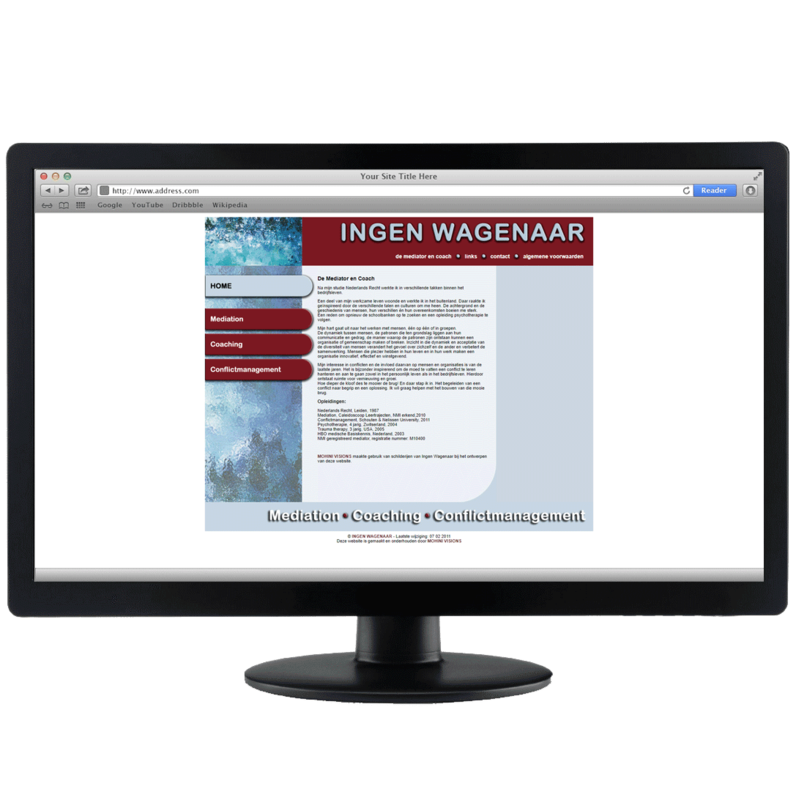 Mohini Visions maintained Ingen Wagenaars website until 2011. All was designed within the same style, with lots of colour and using one of the painting of the artist. Flyers were printed 4/4 (full colour), 300 grams mat, 1000 pieces. 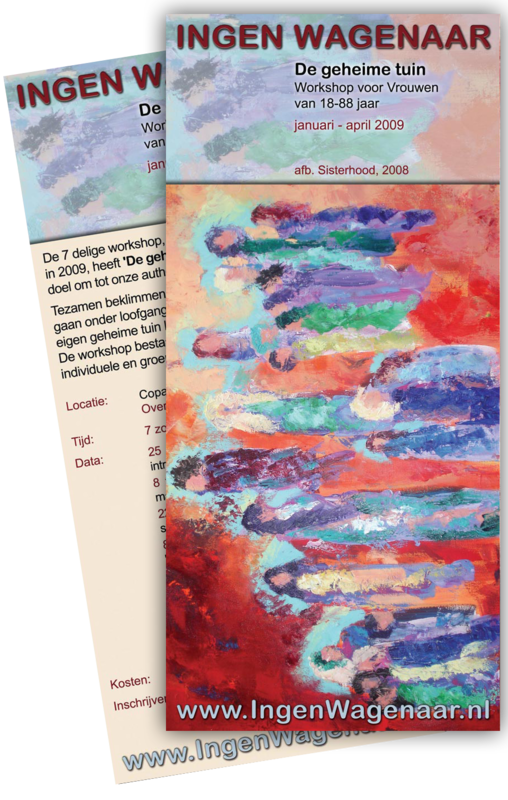 Stationery - Design to fit with the rest, can be printed at home as it was prepared as background for an MSWord document. In two colour schemes: colour and black white.